During this past spring our dog Gryphon, a large Boxer / Rottweiler mix was having noticeable trouble getting on and off his seat. He was unable to extend both hips and was letting out many moans during certain movements. His range of motion was decreasing quickly. We were so lucky to have Kathy’s expertise readily available. In six weeks of sessions with Kathy, our dog was back to himself. Alongwith the massage and body conditioning, she educated my wife and I about home stretching and exercises that we were able to carry out.Her knowledge about canine anatomy and biomechanics allowed our dog to recover fully, we are so grateful. How Naomi has regained her energy and spirit! 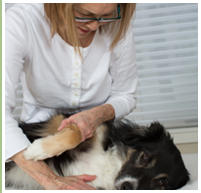 K9 Body Works is devoted to the muscular/skeletal health of your dog. We specialize in Canine Therapeutic and Sports Massage; and in Canine Fitness Techniques referred to as Body Conditioning. 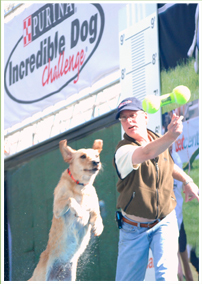 The focus is on Massage Therapeutics and Core & Trunk Strengthening for the Canine. 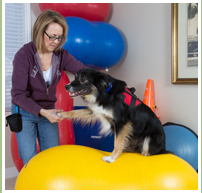 We are dedicated and will work to achieve results in the areas of soft tissue therapy and body conditioning for strength, flexibility, comfort and longevity of health for your dog. © 2019 Copyright K9 Body Works. Website Design by GT Business Design.